There are so many wonderful opportunities to marathon race in Northern Michigan. Our amazing title agent, Paula Baron, of Baron Title Agency ran with me on Mackinac Island last summer. A great way to get to know a community is on foot. I am a guy with a lot of energy and walking is a little slow for me so many years ago I began to run in marathons and participate in triathlons as well. I have been so busy the past few years selling lakefront real estate that I am not the fastest guy out there anymore (small price to pay). This last summer I ran the half marathon on Mackinac Island with my good friend and favorite title agent Paula Barron. It was cold, wet, and generally miserable weather but we had a blast! When you are ready to buy your Northern Michigan home consider what kind of outdoor life you want. That will steer you to the right home. If you are a runner, I recommend you run the neighborhoods you are interested in to get a good feel for the area. If you need a running partner or ideas give me a call! 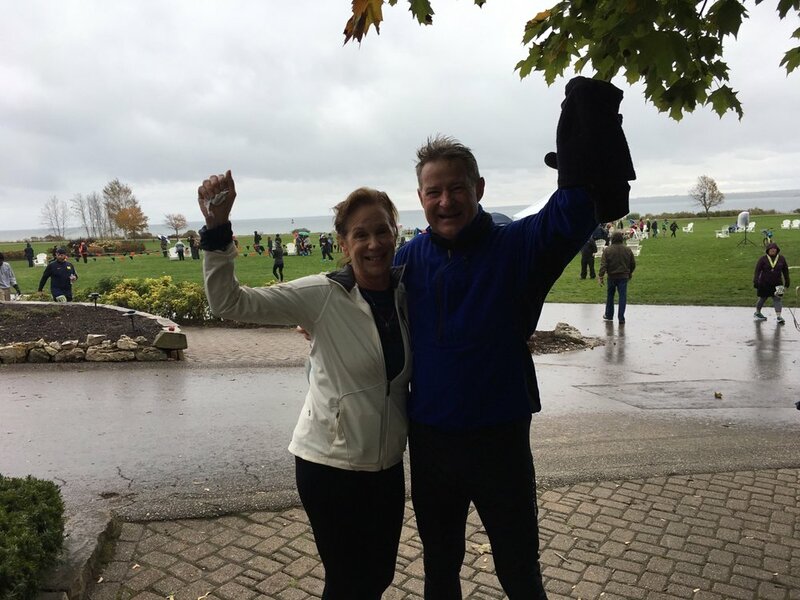 A great half marathon race on Mackinac Island with my good friend Paula Barron! How do you relax in your Northern Michigan home?